Before striking TV gold on Firefly and Castle, Nathan Fillion cut his teeth in the soap opera world. After moving to New York in the nineties, he starred as Joey Buchanan on One Life to Live. After three years — and a Daytime Emmy nomination — the Canadian actor decided to move on and well, the rest is history. 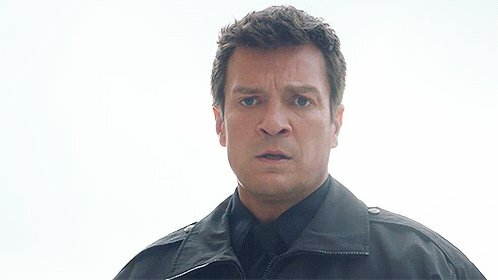 However, Fillion, 40, still has a soft spot for the show, whose final episode airs on Friday. “I’ve heard daytime [television] be referred to as a stepping stone but I think of daytime as a building block,” he said Wednesday at the People’s Choice Awards in Los Angeles. “I’ve never worked so hard, I’ve never worked so much, I’ve never worked with so many experienced actors who were willing to teach. Who were willing to impart their experience, their wisdom, and the mistakes they made. It was all there for the asking,” he continued.